Well right now i am sat on the sofa in my dressing gown whilst the hail stone is hitting the windows...dull day or what! I think today calls for slouchy clothes, hot chocolate and pick n mix sweets. 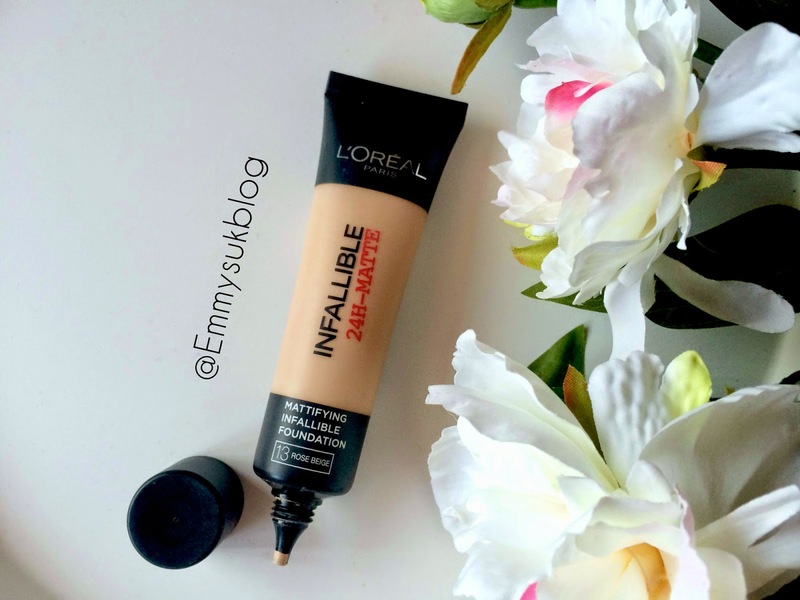 Today's post is all about L'Oreals Infallible Matte Foundation. As soon as i saw this had released i needed to get my hands on it asap. I struggle with extremely oily skin so i have tried many "matte" products which haven't worked. So did this beat all the rest? The packaging is very different to any foundations i own as it comes in a squeezy tube. I do like how sleek it looks rather than being in a chunky bottle. Also i think it would be great for travelling as it is not heavy and doesn't take up much room in your makeup bag! The last L'Oreal foundation i tried was the True Match Foundation which i hate! So i was unsure if i would fall in love or loathe this as much as the True Match. I tried applying this with my Flat Top Brush and also my Buffing Brush and i have to say i hated the results! I don't know what it was but the finish just looked terrible. So i decided to try using my Real Techniques Sponge which gave a much more flawless finish. I will say if you apply this with a brush and don't like it then try it with a sponge. The foundation states to be high coverage... no its not! I am a full coverage girl and have tried many foundations which claim to be high in coverage but really they are not. My skin is pretty clear apart from the odd breakout, i have slight blemishes but nothing major so to cover my skin by a high coverage foundation should be easy. I found after applying a layer you could still see my freckles and any breakouts. So i dabbed a little more over those areas blended in with my sponge and still didn't get the full coverage i needed. It did give the matte finish which i love and i found the lasting power was pretty good apart from around my chin area! Overall i am quite disappointed with this product. If the coverage was actually full then i would be in love. I have also tried mixing it with my Seventeen Stay Time Foundation (which is full coverage) to see if it still gave the matte effect and it does. 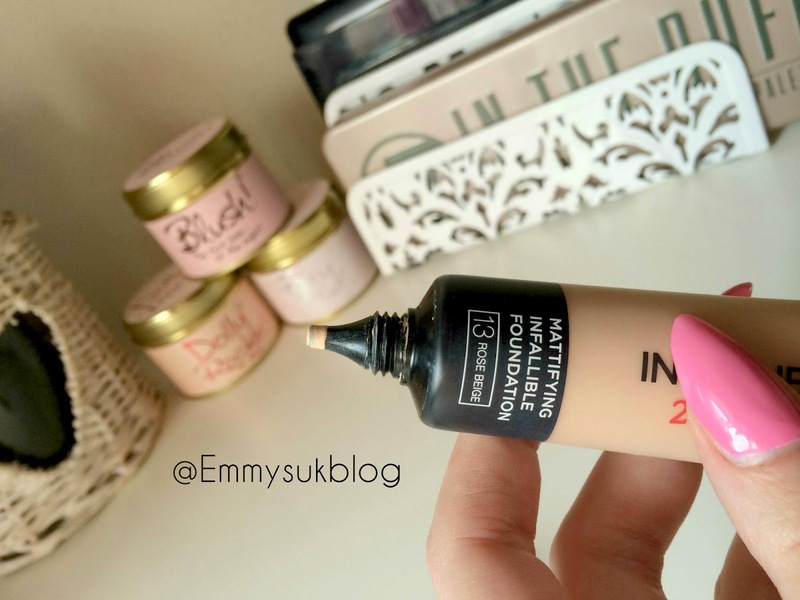 I think if you like medium coverage and want something matte then this might be for you. That's such a shame, some people say it's a complete dupe for MAC studio fix, but it can't be if it really isn't full coverage! Thanks for the review :) helpful! I have dry skin so this would likely be too matte on my skin. Great, honest review! Think this concept was always going to be hit or miss, but considering I like a full coverage too, I think I'll give this a miss! I've heard mixed reviews but still want to try it! Thats a shame about the coverage, Loreal foundations are usually really good, I wonder if using a buffing brush would make a difference? I've read more positive then negatives reviews on this foundation, I think it comes down to skin type, and since I have dry skin, it probably isn't something I'll try out.